(CNN) - Libya. Egypt. Israel. Syria. Ukraine. Iraq. Rick Perry ticked the countries off one-by-one, his list of what he terms President Barack Obama’s foreign policy failures. Speaking at a rally for New Hampshire Republican activists, the Texas governor touched on the execution of journalist and Granite State native James Foley at the hands of the Islamic extremist group ISIS. “Our hearts are heavy today, because of a young man from Rochester. A hero. 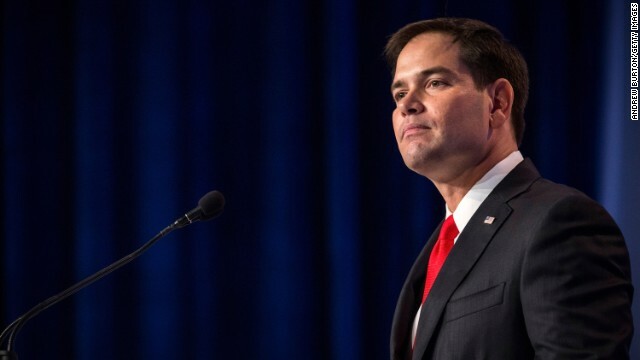 A man who stood in the gap to reveal the evil that ISIS is all about,” said the potential presidential candidate. Washington (CNN) – It’s a “very real possibility” that individuals with the extremist group ISIS may have crossed into the United States at the southern border, Texas Gov. Rick Perry said Thursday, though he added he doesn’t have any evidence. Because the border is insecure, Perry said that “individuals from ISIS or other terrorist states could be” taking advantage of the situation. “I think it's a very real possibility that they may have already used that,” he told an audience at the Heritage Foundation in Washington. “We have no clear evidence of that,” he continued. 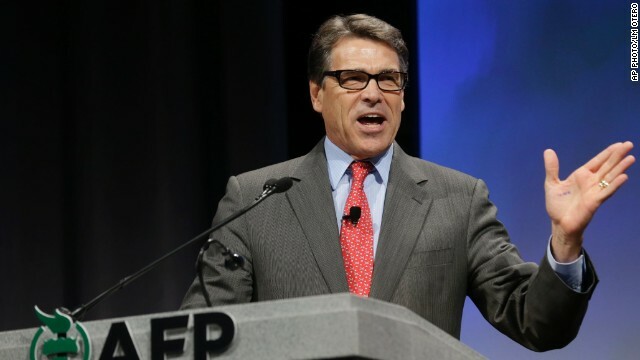 (CNN) - Rick Perry’s lawyers pushed back against a central accusation by Democrats that the Texas governor’s office was being investigated about questionable funding for a cancer research project. (CNN) - Texas Gov. 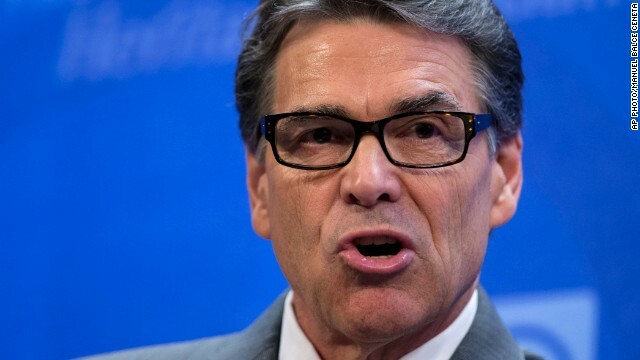 Rick Perry is scheduled to be in court on Friday, but he won't be there. Instead, he'll be testing the waters for a possible presidential run. Three days after being fingerprinted and having his mug shot taken following his indictment, Perry will begin a series of visits to critical presidential nominating states – a strong indication that the Texas Republican won't let felony charges get in the way of his political ambition. 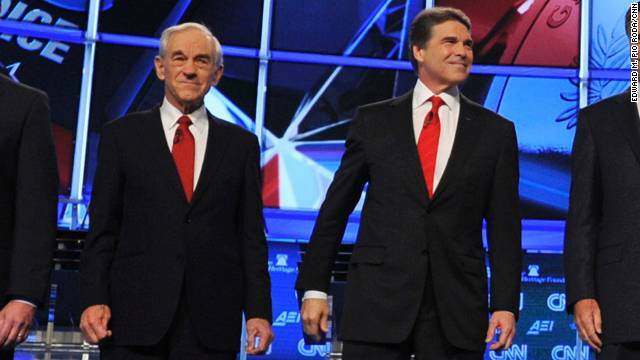 (CNN) - Ron Paul is no fan of Gov. 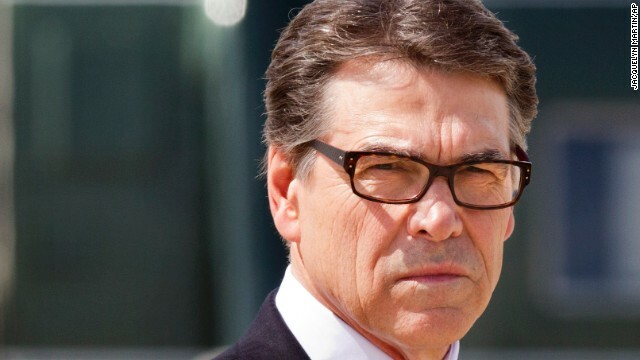 Rick Perry, but the three-time presidential candidate is coming to the side of his fellow Lone Star State Republican. A grand jury indicted the Texas governor Friday on two felony counts involving abuse of power, stemming from his veto of funding for a statewide public integrity unit run by Travis County District Attorney Rosemary Lehmberg, a Democrat.